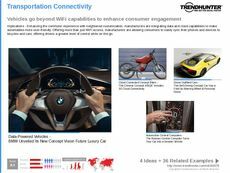 Find Better Ideas, Faster ® with a custom futuristic transportation trend report, our PRO Dashboard and 80+ categories of premium trend reports. 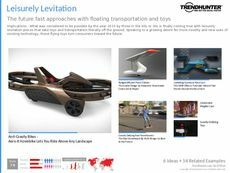 Inside the Futuristic Transportation Trend Report you will find a vast collection the latest technological innovations surging throughout the automotive and transportation industries. Our advanced research methods sift through the latest developments to bring readers the most futuristic and cutting edge designs. 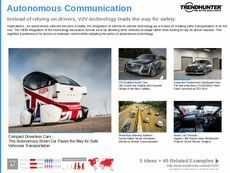 In this report, readers will be treated to numerous advanced trends like autonomous vehicles, connected cars, eco energy, public transportation and more. 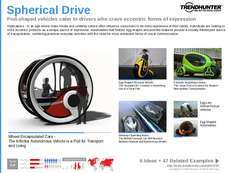 Take advantage of Trend Hunter's expert guidance and become fully educated on the latest futuristic transportation innovations well before the competition. 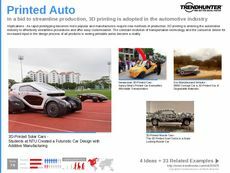 Tech developers, automobile designers, vehicle marketers and more will be given a toolkit towards sparking their personal creativity with this detailed report. 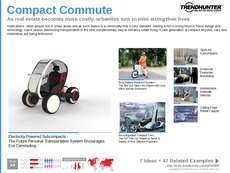 The Futuristic Transportation Trend Report is an enticing glimpse into future possibilities that will rethink how we view personal, public and commercial transportation.